-Conservative Party: Stephen Harper – You can’t go anywhere without people talking about Stephen Harper. He ran for Prime Minister for the first time in 2004 and was seen as the one to help put conservative muscle back into Canadian politics. Even though he didn’t win, he did succeed in bringing the conservative side back into politics. The Conservative party had 99 seats, up from 72 in 2000, and the victorious Liberals under Paul Martin were left with a minority government after three terms as a majority under Jean Chretien. Then in January 2006, a new election was held at the sudden revelation of the corruption of Liberal leader Paul Martin and after Governor General Michaelle Jean dissolved parliament. This worked for the benefit of Stephen Harper as the Liberal Party lost enough seats to give Harper’s Conservatives victory. Sure it was a minority with 124 seats but it was enough to give the Liberal party their first loss on the national level since 1988. This meant new changes for Canada with a Conservative government having most of the power albeit only with a minority. There were many varied opinions about the first term of Stephen Harper. There were many on the left who felt he was too right-wing or making a lot of decisions they felt were wrong. There were others who admired him simply because ‘he says he’s gonna do some thing and he does it.’ I think that’s what wins people: a politician that actually delivers on their claims. This was enough for Harper to be able to win the next election in 2008. He increased the number of seats from 127 to 143 but it was still a minority. Over time, people across Canada, especially in BC, were expressing their disappointment with his policies. I especially remember the arts community unhappy about the cuts in funding they were dealt in 2008. Then in March of 2011, the Conservative Party was found to be in contempt of parliament. The Government General, like in 2005, again dissolved parliament. This time things went the reverse. Harper’s Conservatives won a third term, this time with a majority of 166 seats. The time since has been loaded with corruption and complains to Harper and the Conservatives. They run the gamut from political overspending on advertising to reducing door-to-door delivery of mail to the point there will only be mail boxes by 2019, to denying funding for science to promoting the controversial Keystone pipeline for boosting the export of crude oil to the controversial bill C-51 which appears to threaten Canadian’s privacy freedoms the same way the Patriot Act threatened Americans’ privacy rights. A lot of his misdoings appear to make good things he did like provide tax breaks to families and transit users. -Liberal Party: Justin Trudeau – The Liberal party is one party that has had its biggest struggles ever these past ten years. It started with the Paul Martin fiasco leading the Liberals to their first ever election loss after winning the previous four. It continued with Stephan Dion in 2008 as their seat total declined from 95 to 77. However it was at the 2011 election under Michael Ignatieff where the Liberal party hit what appeared to be rock bottom by winning only 34 seats. They weren’t even the official opposition. After Ignatieff’s resignation just days later, they looked for a leader who could fill the spot. They found it in Justin Trudeau, the 43 year-old son of Prime Minister Pierre Elliot Trudeau. In fact, Justin was born while his father was Prime Minister. The buzz around him grew but it hasn’t been without controversy. Justin has been faced with accusation that he’s riding off the coattails of his father’s legend. His only jobs before have either been a raft guide or a school teacher. This was especially noteworthy in Stephen Harper’s ads attacking Trudeau with the claim he’s “Just not ready.” It included the comment, ‘Nice hair, though.’ I myself even felt he didn’t deserve my vote because “He hasn’t proven himself politically. He’s all image and no real cred.” Even some of his campaign claims like his promise to legalize marijuana or prostitution have caught the disgust of many. Last poll had him in the lead. Whatever the situation if he wins, he will have to prove he deserves it. -New Democratic Party: Tom Mulcair – The 2011 election was a landmark for the NDP. Actually it started months after the 2008 election when the NDP led by Jack Layton teamed up with the Liberals for a coalition takeover of parliament in order to reduce Harper. It didn’t work but it did catch the eye of the nation and it caused Canadians to look more favorably to the NDP party: a national party who were often lucky enough to just finish third in national elections. The 2011 was a landmark for the party as they won 103 seats, up from 36 and the most they’ve ever won. Leader Jack Layton became the head of the official opposition. He only had months to enjoy his victory as he would die of cancer later that year. It would take time to find a new leader of the party and they found it in Tom Mulcair. Since he assumed power, he has been seen as Harper’s toughest political rival most able to put pressure on the Conservatives. He has hoped to take that with him to the election. It worked in August when the campaign trail began. However the NDP have been in a struggle since to win back the approval ratings they had back then and sit third. Only tonight’s election will tell the tale. -Bloc Quebecois: Gilles Duceppe – If any party has had it harder than the Liberals since 2011, it’s the Bloc Quebecois. It’s not even just because of slipping to two seats. It’s of going through three different leaders after Duceppe resigned from incumbents to leaders voted in. After all the frustration, Duceppe is back in. He’s hoping to bring the Bloc’s power back into Canadian parliament and push for Quebec independence. -Green Party: Elizabeth May – One party on the grow is the Green Party. They’ve been around for decades but it’s only in this century that they’ve been able to see their political power grow. I know. I’m from BC where the Green Party appears to have possibly its biggest support. Elizabeth May has done a lot to boost this party which holds left-wing policies and ideas noticeably different from the other two leading liberal parties: Liberal and NDP. In fact the Greens won their first ever seat in Parliament back in 2011 but it was not May. The Green Party may have a candidate in almost every riding and their policies may appear to be the best for the country but they still have to develop more political muscle before they can be considered a serious contender. However May has done nothing wrong as a leader and should keep doing what she’s doing and take it further. Since the start, the election has been called anyone’s game and hard to predict. The NDP had a lead at the start but it appeared to deteriorate over time and they hang at third in the polls. Harper and the Conservatives only had a brief lead in September for a week or two but found themselves soon slipping and now find themselves at second. Right now the Liberals lead at 37% at the last polls. Anything can happen on Election Day. In fact in BC, Christy Clark’s Liberals were expected to lose according to the polls but they won. The biggest shocker is the advance polls held during the long weekend of October 9-12. Voter turnout was way higher than expected. An increase of 16%. The increase resulted in a lot of long line ups. I myself had to wait almost a full hour to vote. nevertheless this is an optimistic sign as it shows more Canadians are willing to vote in this year’s election as compared to 2011. Whatever the situation, it will be decided by 8pm Pacific Time who will be the Prime Minister of Canada. It could be decided earlier upon final results in Ontario but you never know. Anyways history will be decided tonight. Funny thing but if the US presidential election can best be described as “two five year-olds fighting over the same toy,” what should the Canadian national election be described as? It’s extremely rare when a major politician dies in the middle of his term. It’s also unfortunate that Jack Layton dies soon after the biggest success for himself and his political party. Nevertheless his influence in Canadian politics will always be remembered. John Gilbert Layton was born in Montreal on July 18, 1950 to a family with a huge political background. His mother Doris Steeves was a grand-niece to a Father of Confederation. His father Robert Layton was a Progressive Conservative MP who served as a Cabinet Minster during the Mulroney administration. His grandfather was a cabinet minister in Quebec parliament. His great-grandfather was an activist for the blind. Naturally he would follow in his family’s footsteps. He was elected student council of his high school and studied Political Science at McGill University. In 1969-1970 he was a member of the Quebec Youth Parliament. In 1970, the family moved to Toronto where he attended York University and received his PhD in Political Science. He became a professor at Ryerson University, was a prominent activist and wrote many books on political issues and his beliefs. He first entered politics on a civic level. He was elected to Toronto City Council in 1982 and soon became one of the most outspoken members of the council and a leader of the left wing. He was one of the first advocates for rights for AIDS patients and spoke his opposition to the building of the Skydome and Toronto’s bid for the 1996 Summer Olympics. In 1985 he moved on to the Metropolitan Toronto council. In 1988 he became returned for the election to Toronto City Council. He not only won but his reformist coalition for which he headed gained control of City Council. 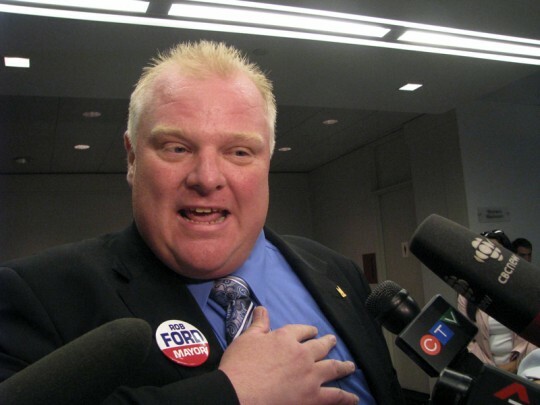 In 1991, he made the move to run for mayor of Toronto. His opposition to the Olympic bid and the low popularity of the NDP party at the time caused him to lose the election. Layton would return to teaching and later founded an environmental consulting business, the Green Catalyst Group. He ran for the House of Commons twice in the 90’s and lost both times. Then in January 2003 came the biggest breakthrough of his political career. He was elected leader of the federal NDP party. Before the 2004 election, Layton was already known for making some eyebrow-raising statements about the Liberal party led by Paul Martin shifting to being too right-wing. During the 2004 National Election, Layton accused the Liberal Party for the increase in homelessness and homeless deaths in Canada. Many people complained that it was negative campaigning. Layton caused another controversy during that election when he suggested the removal of the Clarity Act and allowing Quebec to declare independence upon a referendum vote. In that election the Layton-led NDP party had 15% of the popular vote, the highest in 15 years, and 19 seats in the House of Commons. In the next federal election, in January 2006, Layton attempted to cast himself as the sole remaining champion of universal health care. Layton constantly repeated during the campaign to Canadian that they have a ‘third choice.’ Some conservative pundits mocked Layton and his stances. Some would paste Layton-styles moustaches on them and say things like ‘raise my taxes’ or ‘I’d like to pay higher gas prices.’ Layton also went all out in attacking the scandal-ridden Liberals at the time and pledged to use his minority clout to keep the Conservatives in check. The election resulted in 29 seats in the House of Commons for the NDP: 11 more than the previous election. Layton’s wife Olivia Chow was also elected to the House of Commons making them the first couple to be elected to the House. In 2011, a new national election was called as the Conservative party was defeated in a Vote of Non-Confidence for contempt; the first time in the history of the Commonwealth for a government to receive a Vote on Non-Confidence. That resulted in Prime Minister Harper dissolving parliament for a new national election. During the election, appeal for the NDP started slow but Layton’s NDP party soon increased greatly in popularity after the leadership debates. The NDP moved past the Liberals into second place in the polls behind the Conservatives and first in Quebec. Soon after his popularity rose, a smear campaign came about as a retired police officer stated he saw Layton naked in a massage parlor back in 1996 but didn’t charge him. Layton responded that he was just simply getting a massage. In the end, no charges were laid against Layton. In the election, held May 2, 2011, the NDP won 103 Seats. That was the highest-ever total of seats for the NDP party and made the NDP the Official Opposition party to the Commons for the first time ever with Layton as the official opposition leader. One thing known to few was of Jack Layton’s illness and the severity of it. In February 2010, he announced he had prostate cancer and vowed to beat it and continue to pursue his duties as the leader of the NDP. On July 25, almost three months since the national election, he announced he would take a temporary leave to fight an unspecified newly diagnosed cancer. He announced he planned to return as leader of the NDP once the House of Commons was to be resumed September 19, 2011 and recommended NDP caucus chair Nycole Turmel serve as interim leader. On the morning on August 22, 2011, Jack Layton died at his Toronto home. He was 61. 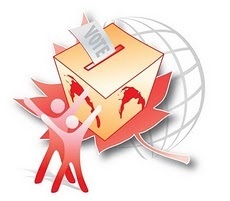 Okay, some of you who don’t live in Canada have heard that we have a National Election—the 41st Canadian General Election– in which we will be voting on May 2nd, but don’t know all the details of what’s going on. Here are the details about what’s been happening and what to anticipate. For those unfamiliar with how Canadian elections work compared to American elections, Canadian elections are held on any given date instead of the first Tuesday of November. A Prime Minister’s term can be any length of time instead of the solid four years of an American President’s term, even though most Prime Minister terms are between three to five years. While Presidential Elections are decided by electoral votes based on which Party wins the most votes per state, Canadian Prime Ministers are decided by the most won seats with each voting district or region deciding its own winning Member of Parliament per Seat. In other words, while citizens vote for electors in the Presidential election and the winning Party in the state wins all the state’s electors, Canadians vote for MP seats in the Prime Minister election. While an American President is decided by the most electoral votes, even if he doesn’t have the highest total of votes, A Canadian Prime Minister can be declared upon winning the most seats even if they don’t have the highest total of votes. So there are some similarities between Canadian elections and American elections but a lot of differences. Now for the current political scenario in Canada. Politics in Canada has gone through a lot of chaos over the past few years; so chaotic this is the FOURTH National Election in seven years. The most recent National Election was declared in the aftermath of a political scandal. Stephen Harper’s Conservative party was long considered to be in contempt of parliament at the beginning of March upon refusing to meet Opposition requests for details of proposed bills and their cost estimates. The Liberal Party responded by declaring a motion of non-confidence against the Government and on March 25, 2011, the House voted agreeing 156-145 to the motion. This marked the first time in the history of Canada or any nation in the Commonwealth of Nations that a cabinet has been found in contempt of Parliament. Following a meeting with Stephen Harper, Governor-General David Johnston agrees to dissolve the 40th Canadian Parliament and a Federal Election was declared. Even before the most recent election was declared, Canadian politics has already been known for its chaos in the last seven years. Back in 2005, the Liberal Party under then-Prime Minister Paul Martin faced a sponsorship scandal of what would be documented in the Gomery Report. Even though Paul Martin had been Prime Minister for less than a year, an election was declared and in January 2006 Conservative Party Leader Stephen Harper won the election with a minority of seats. The Conservative Party victory was considered an arrival for political conservatives in Canada who struggled during the 90’s after the eventual decline of the Progressive Conservative party upon the resignation of Brian Mulroney. 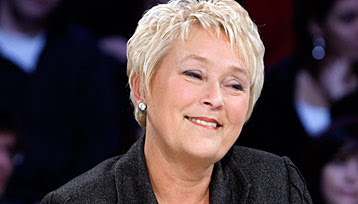 Another national election was held less than three years later in October 2008 and Harper’s Conservatives again won the election with a minority with Liberals, Bloc Quebecois and NDP making up most of the remaining seats. Shortly after the 2008 Federal Election, the Liberals and NDPs banded together for an overthrow of the Conservative government through a unified vote of non-confidence. Some may call it the right thing, others political mutiny. Whatever the situation, the coalition didn’t succeed and the Harper-led Conservatives remained the leading party of Canada. Since then, many Liberals have tried to distance themselves from the coalition. Now it’s Stephen Harper’s try for a third term as Prime Minister. He comes in the election with the scandal creating baggage for him, but not a lot. Before the scandal, the Conservatives were tops in the polls and they still remain on top. One thing Stephen Harper is hoping for is a Conservative majority, especially with the 2008 attempted coalition still in his Party’s memory. The most surprising fact of the polls is that the Liberal Party is not the party with the second-highest ratings but the NDP. The Jack Layton-led NDP surpassed the Liberals in the April 20th poll and the most recent polls have the NDPs at an average of 31.4% in comparison with 3% for the Conservatives and the Liberals at 20%. This has many believing that the NDP could be setting up for a possible upset for Monday’s election; maybe even a Prime Minister Layton. Mind you the polls only represent popular voting patterns. It will all be decided when the ridings vote for the MP’s and their parties. Win or lose, Jack Layton appears poised to have the biggest National Election result for the NDP party ever. The biggest ever result for the NDP Party is 43 seats in the 1988 election while the Party was led by Ed Broadbent. Even its founder, Tommy Douglas, never experienced the success Ed received. One difficulty of Layton’s, especially after the coalition, is for the NDP to distinguish its political platform from that of the Liberal Party. Too many voters label the NDP to be like the Liberals since they are on the same left stance. This may be seen good for liberal-siding voters but not so good for the NDP’s own identity. 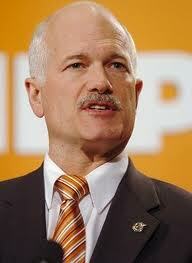 Whether Jack Layton wins or loses, he will have to prove the NDP’s distinction from the Liberals politically. Otherwise voters will continue to believe the NDP and Liberals are two choices of the same stance. Then there’s the Bloc Quebecois. The Bloc was started in response to a resurgence of Quebec nationalism felt after the decline of the Parti Quebecois and after the Meech Lake Accord, which was intended to grant Quebec distinct constitutional status, was overturned in 1990. The party has attracted Quebec nationalists and even prompted a second referendum in 1995 in which Quebec nationalism lost again. Despite Quebec nationalism being voted down, the party has always won at least 50% of the Seats open to Quebec. The Bloc had 49 Seats in the last election–47 are still current– with 10% of the popular vote in Canada and 38.1% of the vote in Quebec. However recent polls have them at 7%. Could this mark a decline of the Bloc? Party aspects aside, One thing about the election is that the parties are hoping for a better voter turnout than what happened during the 2008 election. Then, the voter turnout was 58.8%, the lowest turnout percentage ever for a National Election. Parties have been making the effort to urge voters out. Even campuses have had young people out to drum out support. Interesting how around the time I first became an adult, MTV started a ‘Rock The Vote’ campaign around the time of the 1992 Presidential election and MuchMusic started ‘Vote With A Vengeance’ for the 1993 Federal Election. This election, there’s no ‘Vote With A Vengeance’ campaign. Funny. Doesn’t Much care anymore? The big day is May 2nd, tomorrow to be exact. Canadian history will be decided by the people. The election results and its aftermath will further shape Canadian democracy in the years to come. Stay tuned. As for Canadians, get out and vote!